Well the holidays are over, and things are gradually getting back to normal (though can someone tell me why sand makes me gain so much weight? A week at the beach down in Mexico and I gain 8 lbs - it has to be the sand (can't be the Margaritas after all :-)). 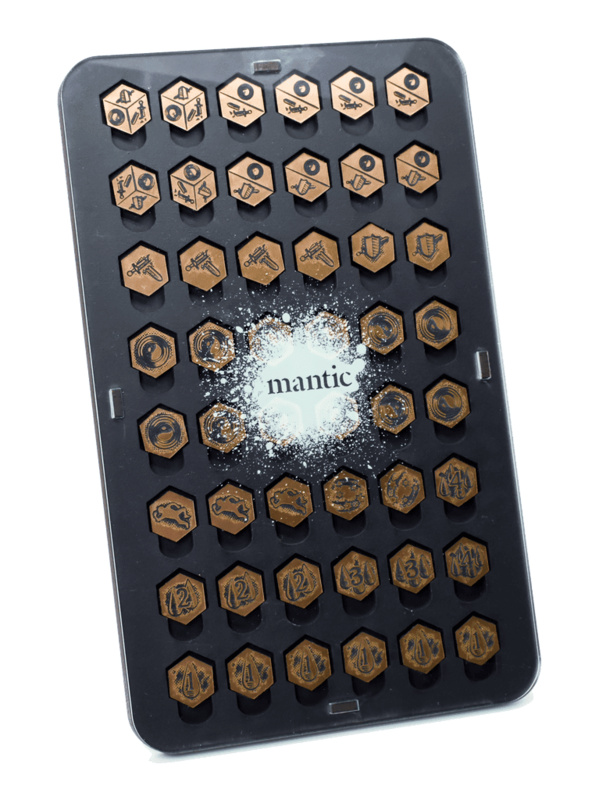 Once again, Mantic did their 12 days of Christmas blog posts - which really are a year in review / year in preview broken out in 12 installments. So for those who might have missed it, there were some cool things previewed. For those who like the sci-fi side of things, Deadzone is getting an intel deck that works similar to the Kings of War Battlefield cards - completely optional cards that can add some variety and mix up your games in new and interesting (notice I did not say balanced) ways. 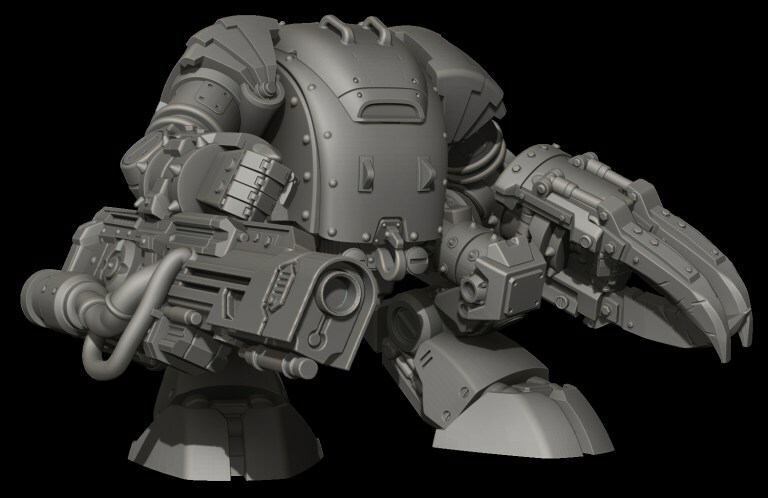 They also had some renders for some new and re-released models. The Marauder Stunt Bot is is coming back, with new arms (and you will also be able to buy the arms separately if you are one of the few people that has a stuntbot already). 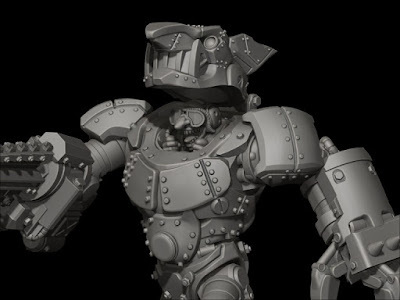 In addition, they are releasing a 'mini-stuntbot' that is essentially a goblin in an iron suit. 'Bolts' will be a new leader for the Marauders. 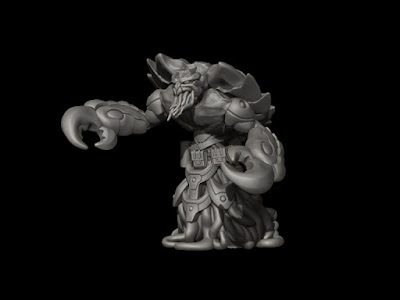 The Nameless are also getting a some new units, including a Feromite (or if you were a fan of the Nameless in first edition Dreadball - a hard guard). Of course this comes a year after I bought and converted over 20 of the existing ones for a horde of Placoderms in my Trident Realm army). Look for these in July when the new Command Protocols: Escalation book will be out. They are going to make this like the Clash of Kings books - a years update to keep the game fresh and up to date without making a full new edition. 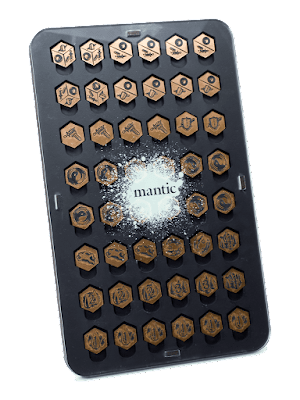 Mantic has announced that in their store-only Organized Play Kit for Vanguard will include an exclusive set of bronze colored Vanguard tokens. From that description and the picture, it appears these will be acrylic, and I am expecting them to be highly sought after. ( I don't care about being bronze colored, but I will buy a set (or two or three) of acrylic Vanguard tokens if they become available. 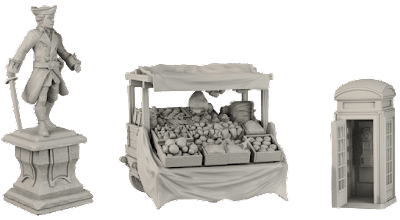 Finally, when Mantic first did the Terrain Crate kickstarter, I remember Ronnie mentioning that they knew there was a marker for inexpensive, quality plastic terrain, but he did not think it would be something that retailers would be interested in. 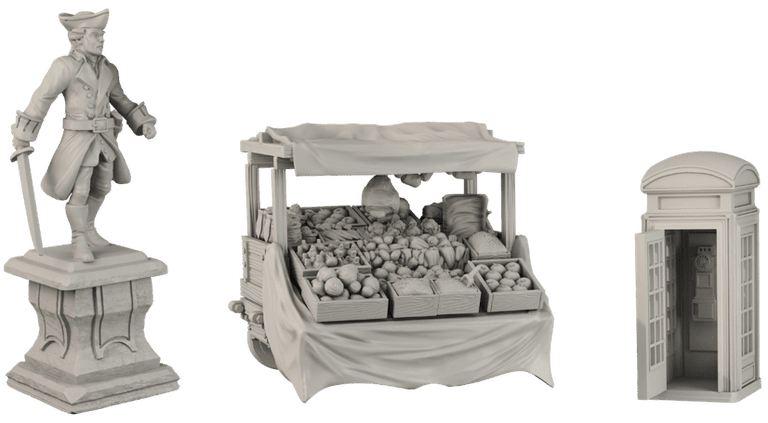 Apparently he was wrong, and each release has been selling out, and they are now looking at doing a second terrain crate kickstarter to get out of the dungeon and add even more. Gothic Manor - I can already imagine ghosts floating around and playing the grand piano. Modern Campground - and is there Walking Dead scenarios from the first expansion that require tents? 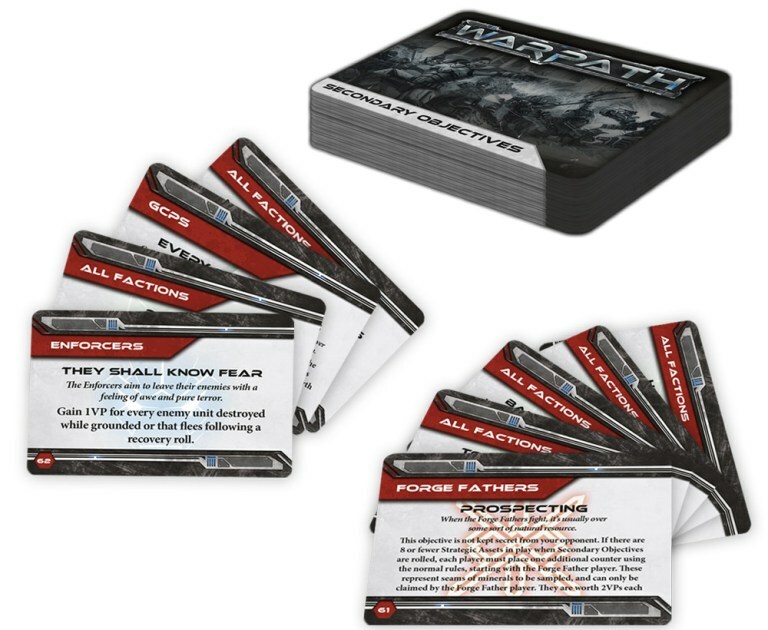 Just a few of the things Mantic has revealed that are coming up this year!